In what has been a fantastic start to the year with nominations coming in thick and fast, we are proud to have once again been nominated for success at the Prolific North Awards. Speaking about the latest shortlist, Click Consult CEO and Founder, Matt Bullas said: “This is a fantastic honour and we are proud to be leading the way in the North with three nominations at the Prolific North Awards. 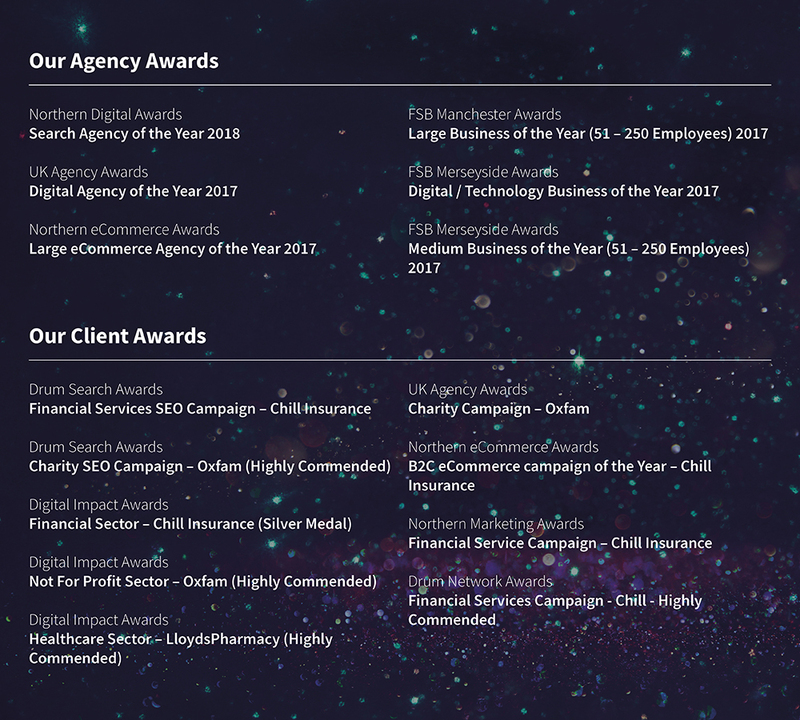 “It is pleasing to pick up nominations in two agency categories, both for Large Agency of the Year and SEO & PPC Agency and I am also thrilled that our client work has been nominated also. “We have invested huge amounts of time and resources into the Kwik Fit campaign, as we do with all of our clients work so to see it recognised in the Digital Campaign of the Year category is superb. The awards which showcase the brightest talent and most creative agencies in the north of England will take place at The Principal, Manchester on 24th May. Benchmark Search Conference 2018 – Apply now for your ticket!